This old and rare photograph is currently doing the rounds on the internet. 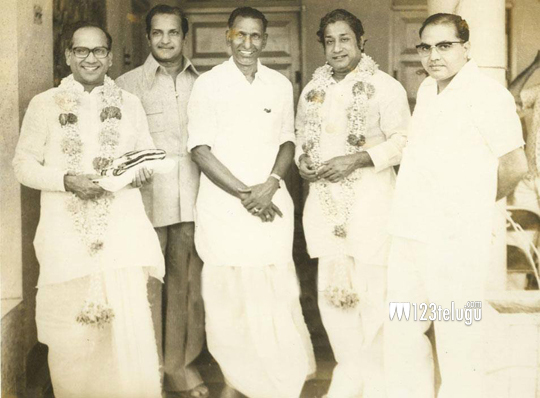 It shows South Indian movie legends NTR, ANR and Shivaji Ganeshan with media baron Ramoji Rao. If you happen to know when and where this photo was taken, please do let us know in the comments section below.